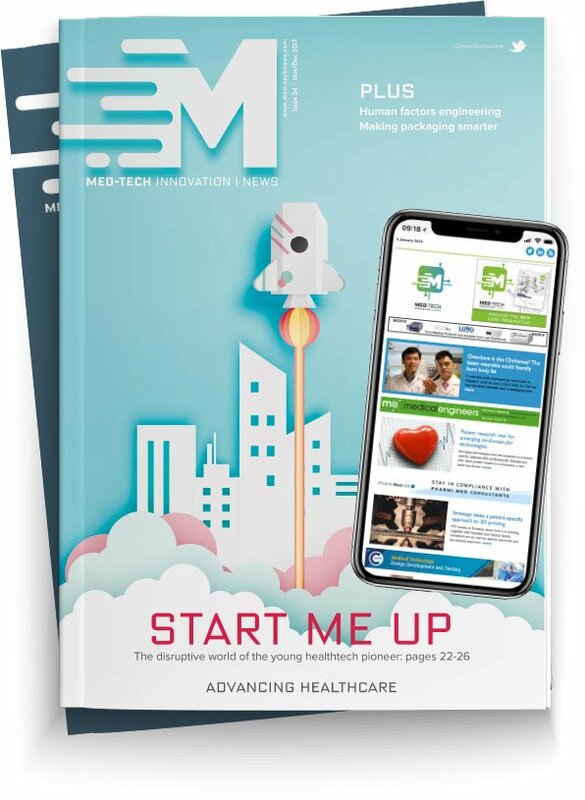 Antoine Baschiera, CEO of Early Metrics, the rating agency for start-ups and SMEs, looks at the future trends expected to hit medtech. The rapid advancement of innovation today is propelling fundamental changes in all industries. Amongst them, the health sector is one that will be transformed drastically in the coming years. With the announcement that UK health services are set to receive a medtech boost from Singapore and Israel, the coming months are predicted to witness the biggest wave of development yet. The medical devices and technology market will reach $500 billion in sales by 2021, according to a new analysis. Therefore, it is no wonder that both corporates and start-ups are viewing medtech as a promising industry that can not only evolve the sector, but also change our quality of life. A few challenges exist: medtech products usually face long cycle of development, and are more likely than other ventures to rely on corporate backing. Yet, medtech start-ups carry complexity around data sensitivity, regulation and healthcare commercialisation that constrain the process of scalability. Prior to venturing into strategic agreements with medtech start-ups, the biggest concern for a corporation is around regulation and feasibility. However, this hasn’t stopped successful interactions between venture and corporate stakeholders. The health industry has gone through three eras of evolution: firstly, the era when doctors and integrated delivery networks (IDNs) were the target customers, followed by the era when payers (insurance companies) were the target audience. We are now in the third era - the consumer era. Whether it’s online shopping for the best health-related gadgets or using self-diagnosing equipment, patient empowerment is dictating future innovation. The main reason behind this is a transformation of cultural mind set, even beyond the influence of commercialised technology. Technology is an innovator, not the root cause. Millennials have been exposed to greater awareness campaigns and worldwide disasters that have increased their propensity to take ownership of their own physical and mental healthcare needs. The swarm of wearable sensors are pushing companies to develop ever more powerful technology. Whilst professional clinicians will continuously remain the operators and curators of our healthcare requirements, companies are now more and more engaging directly with patients, compelling them to innovate quicker towards that end. A big part of the future of medtech development will depend upon the analysis of big data and health records, where tremendous amounts of information are generated and aggregated. As Big Data enables patient data analytics, personal health record (PHR) vendors and developers of modern health technology are expected to invest in innovation to take advantage of all this data. Using AI and machine learning techniques, we can now analyse data and identify patterns, but access to that very data is still sensitive and complicated. All this data from clinical and non-clinical sources will need to be protected as it is being shared across platforms. To satisfy this need for privacy and security, new technology such as blockchain distributed ledger technologies will find its way into healthcare this year. The advent of companies connecting their devices to mobile apps and the cloud will necessitate greater consideration and discussion of cyber security risks. Specifically, EU regulators are working on an overarching standard to replace existing medical device directives, which have been in place since the 90s. If anything, regulation is scheduled to get even more complex in 2018, with GDPR restricting further access. Whilst this is a necessary requirement for the sensitivity regarding healthcare data, it needs to be better simplified or unified by industry bodies. With further regulation imminent this year, start-ups will become vital in introducing simplified, value-driven data processing. Alongside the emphasis placed upon providing better patient care to alleviate pressures on healthcare staff and create a better customer journey, companies are investing to create single patient database folders that can be accessed by multiple clinicians across various devices. Whilst this trend is not capital intensive, 2018 will utilise accessible and collaborative technology to enact the required modifications. There have been huge strides made in pharmaceutical industries in the past few years alone. The next phase of pharma development will help increase efficiency. With constant R&D initiatives levelled at production, the near future will see better techniques concerning the delivery of medicinal products. Research is already being conducted into creating products where molecules can target the exact area or cause of concern within the anatomy. As one of the world's largest sectors, healthcare is greatly affected by technology-driven innovation that has the potential to transform our everyday lives. To do so, corporations must develop and identify partnerships with medtech start-ups that appreciate their capabilities as key players within the industry, and tackle together the many challenges that lie ahead.